The insulation fault locators ISOSCAN® EDS441 are used in connection with the ISOMETER® iso685-D-P or the locating current injector PGH to locate insulation faults in unearthed power supply systems (IT systems). They detect locating current signals generated by the insulation monitoring device iso685-D-P or IRDH575 or the locating current injector PGH and evaluate them correspondingly. Up to 12 measuring current transformers can be connected to an EDS441. 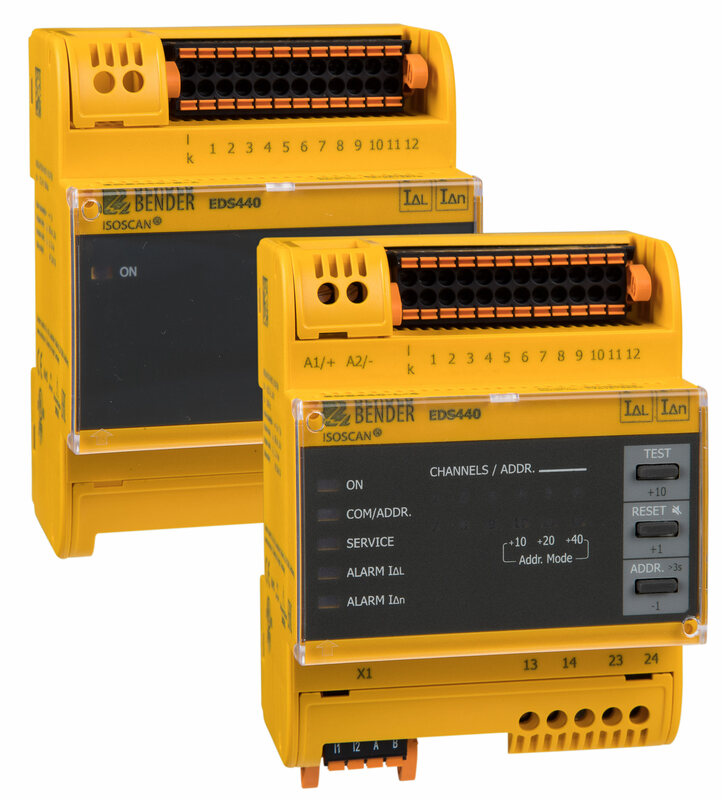 In total, up to 21 insulation fault locators can be connected via an RS-485 interface (BS bus protocol) and thereby up to 252 outgoing circuits can be monitored.